Through the video you can clearly see the monitors in one of the angles! He says, "Working with my music on NS10s doesn't really make sense either." The industry standard reference monitors. Dirty South says "I just got myself a pair of second-hand Yamaha NS10s for that classic "crap" sound reference." We spotted Krewella's Kris using the Yamaha NS10 studio monitors during a studio session in New York City. "The speakers I use, I've always been used to NS-10s because it's just the way I grew up.I like sticking with them for checking certain frequencies and sounds," says Steve Vai about the Yamaha NS10 Studio Monitors in his studio. In this video, Tocadisco is using Yamaha NS10 Studio Monitors while remixing a track in Sao Paulo's MOSH Studios. According to the MOSH website, Studio A, Studio D, and Studio VIP have Yamaha NS10s (http://www.mosh.com.br). At 2:26 into his studio tour for Ultra Music, Cedric Gervais displays his Yamaha NS-10. "Then we have the Yamaha NS10..Gotta have that in the studio as reference". A pair of Yamaha NS10 Monitors are used to make the sound audible to Jonny in this image. In [this interview](http://www.soundonsound.com/sos/oct99/articles/readerzone.htm), Gavin Harrison says of his Yamaha NS10 Studio Monitors, "The theory is that if you can make a recording sound good on Yamaha NS10s, it'll sound good anywhere, and I tend to believe that to be true." In his studio, Sebjak uses Yamaha NS10's. In the first photo from this Music Radar [article](http://www.musicradar.com/tuition/tech/umeks-guide-to-breakdowns-510309), DJ Umek can be seen with a Yamaha NS10 studio monitor behind him. "As far as monitoring goes, Alan still relies on Yamaha NS10s and Auratone speakers, although these have recently been joined on the Neve’s meter bridge by Dynaudio BM15As." Featured in the Gear List on Richard Barbieri's website. "Monitor?wise, the studio was fitted with a pair of Yamaha NS10s and a pair of Genelec 8050As, and everything was recorded using Logic 8 on a Mac Pro." Mr. Rahman is working in the studio in this video. You can see these monitors behind. In this photo, posted on Caspa's [Facebook](https://www.facebook.com/caspadubstep), a pair of Yamaha NS10 Studio Monitors can be seen. RIOT using Yamaha Moniters in the backgroud. At this time, Cook was using a Soundcraft desk and monitoring through a pair of Auratones during the writing phase and Yamaha NS10s when it came to mixing. “I had four flatmates,” he remembers, “and you can’t work at any volume. So I worked on Auratones, the same pair of which I still use now, and you could feel when the bottom end was there, but it didn’t go through to other people’s bedrooms. Then when it came to mixdown, I would go onto NS10s. I would say to everyone, ‘Look, sorry, I’m mixing tonight, so I’ve got to actually play this at volume just to check the bottom end.’” Both NS10 & NS10M can be seen in the pic. Umek is shown to be using the Yamaha NS10 in the video, as he explains his studio workflow. At 18:17 in this video Jody says, "Still rocking the NS10s after all these years, because, you know, you know where you stand with NS10s." "Although much mixing can be done on small nearfields such as the Yamaha NS10s.."
This article lists Jakko’s gear in his Silesia Sound Studios, including this one. Because he is a drummer capable of writing his own beats, Vrenna never uses loops. For programmed sounds, he often uses Battery and employs the drum sounds his synths have. “I tend to just start from some of those and layer stuff,” he remarks. “I just layer sounds underneath and then make my own stuff, and then put those through pedals.” With limited space in the crib room, Vrenna uses a compact Yamaha custom drum kit. Vrenna pads the room down when he records vocals, but then he pulls the padding off the walls for a boomier drum sound. Longtime friend and engineer Bill Kennedy, whom the drummer has known since his NIN days, helped him experiment with different ways to mike the kit and they created a good overall scheme. To record the kit, Vrenna placed a vintage AKG D-12 inside the kick and a Yamaha NS-10 (used as a mic rather than a speaker) outside the kick. “It gives you a nice sub,” he says. “You put that in front of the kick head”. This article states that Jerry's studio includes "System 1: Five Yamaha NS10 monitors powered by Hafler 200 power amps and a Meyer Sound subwoofer. System 2: Blue Sky Audio surround system with five matched satellite speakers and Blue Sky subwoofer, controlled by Blue Sky's bass-management remote controller." 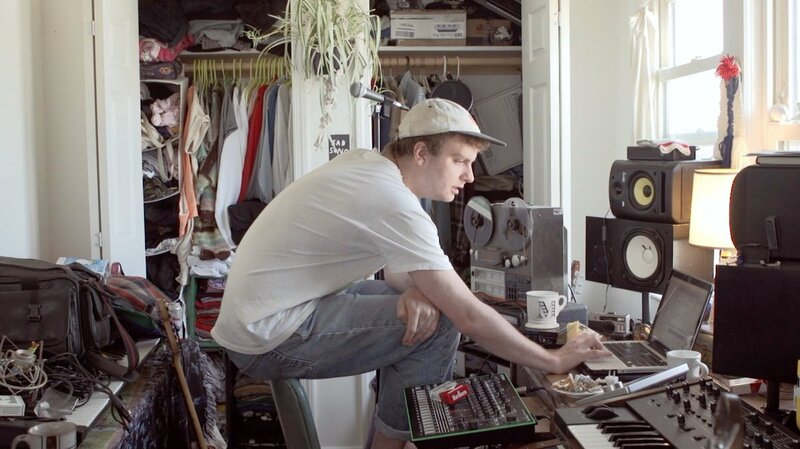 In this photo of Mac in his home studio, Yamaha NS10 Monitors can be seen below the Rokit monitors. According to a list of equipment which is used in his studio, Crowdspacer, Joakim is also a user of Yamaha NS10 studio monitors. In this 1996 Guitar Player [interview](http://www.robinguthrie.com/interviews/guitar-player.php), Robin Guthrie says: "I also like to feed back off the Yamaha NS-10 studio monitors as opposed to doing it off the amp." 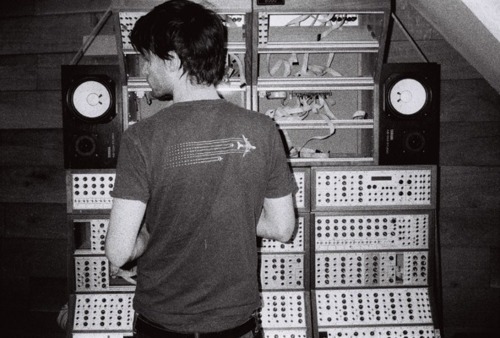 "Andy and myself also ended up with a Mellotron each, and I've kept an Emulator IIX, which is good for grungy loops. "We can achieve very good production quality with this set-up just through being very careful. We learned a lot with OMD from engineers like Tom Lord Alge and Steve Hague, so we can use the facilities we have to the out most. We've got good outboard effects like Lexicon reverbs and Urei compressors, and decent speakers like Yamaha NS10s and NS40s. Now I'm getting into the Yamaha ProMix 01 automated mixer, which is great because you can reset it so quickly. It allow you to get some perspective on a song then return to it easily." In this interview Jan Hammer says: " I monitor for 80 percent of the time on NS10s because I'm used to the way they sound, though I also have a huge pair of JBLs the same as they used to have in the Trident studio, just to check out the bottom end." Razer Music lists Metro Boomin as using Yamaha NS-10 studio monitors. $1 Bin is spotted in the studio with a pair of NS10s in the background. "The Classic NS-10s I couldn't live without". You see them several times in the video but you can see the NS-10's at the 10:14 in the attached video. Can be seen in video and in thumbnail. In this Facebook photo, CAPSULE can be seen using the Yamaha NS10 Studio Monitor in their studio in the background. The studio monitor Zayn is using in this photo is a Yamaha NS10 Studio Monitor. I'm not 100% as the logo is underneath the woofer and looks asif it could be an OLD mackie or a newer version of the Yamaha NS series judging by the black lines in the exposed woofer and hidden black meshed tweeter. The original NS series has the logo above the woofer and the HS series don't have black lines in the woofer. At 1:35 there is a NS-10 speaker in the background. At the right in the video. You can even see them in the profile photo. There's another provided as well. "I don't ever use dynamic mics on a drum kit if I can help it: it'll either be ribbons or condensers. The exception would be an [Electro?voice] RE20 inside the kick, but I tend to try to use a [Neumann] U87 or 47 outside, and a Yamaha NS10 driver on the bottom. I try to line them up equidistant, so that theoretically it would always phase?align. I'll use [Neumann] KM84s on snare, top and bottom." A pair of Yamaha NS10 Studio Monitors can be seen in this Instagram picture, uploaded by the artist himself. "For about fifteen years I’ve been using KROKs powered by a Yamaha 2200. Recently I learned they have a significant high-mid boost, and that might have worked in the favor of an old deaf drummer to not add more high-mids. I also use two self-powered M-Audio pairs (one with a sub), Yamaha NS10s, and various Horratones so I can go between and compare. Plus I monitor with headphones, especially late at night. For tracking I love the Vic Firth phones. All this is configured through a Mackie Big Knob." "I've got a Turnkey patchbay. The speakers are Auratones, and Yamaha NS10s which everybody's raving about in the business." Yamaha, what the ?#$&* is this. I cannot make anything on this, but once I made it on other monitors to reference on them, is like playing the PS4 version of a PS3 game. you have to get used to them... in the 90s they were in EVERY studio as the only nearfield option, so if you didn't want ear fatigue from the big wallmounted JBLs or EVs you had to elarn to work on NS10s.... they have fantastic midrange detail though, don't they.... another great option is the unsung NS-A638. They are 3 ways with extended bass response but similar tweeters to the NS-10. I have a pair, great compromise between the NS10 all mids sound and a legit monitor that sounds right. still great at being the NS10 all these years later! I worked few times with a pair, together with Alesis RA100 power. Very fast to finish a good mix. But today a cheap bi-amp reference can be equally nice if you have good ears. These sound bad and have a very high bass roll-off. They do their job well though, they translate really well and are pretty consistent as far as playback goes. I find that they are easier to make quick decisions on than other monitors as well (I secretly don't mind their midrange though). Starting my producing with these monitors and still use in these days. Yamaha Ns-10 is the classic and one of a kind in every space of the music world.